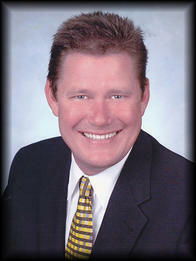 Tim has over 20 years of leadership experience in the financial services industry. As a vice president and business banking relationship manager for Fifth Third Bank, he is responsible for servicing businesses with annual revenues between $2MM - $20MM. He is skilled at boosting financial productivity for businesses through lending, cash management, payroll processing, and payment services solutions. Tim attended Florida State, and currently lives in Jacksonville with his wife and their yellow lab, Bosley. He enjoys traveling, tennis, golf, fishing, and attending Jacksonville Jaguar games. He stays actively involved in his community serving as a past member of St. John’s County Economic Development Council, and current member of Greater Jacksonville Chamber of Commerce and First Coast Manufacturing Association. He is also a volunteer for Junior Achievement.